Hey everyone! This is my first discussion of Windows CE 3.0 Professional Edition. 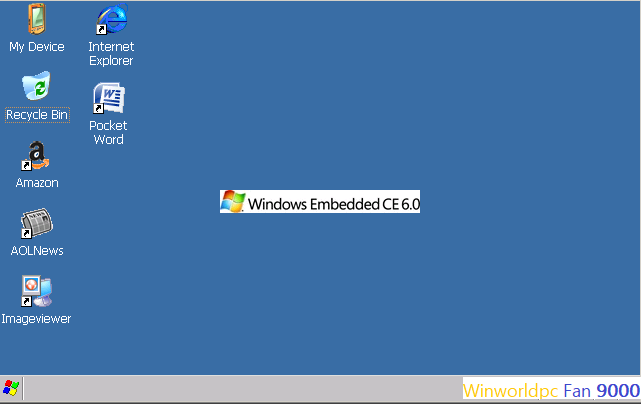 Do you like Windows CE 6.0? Yeah, I like this Windows CE 6. There is an emulator for this at the Microsoft website. 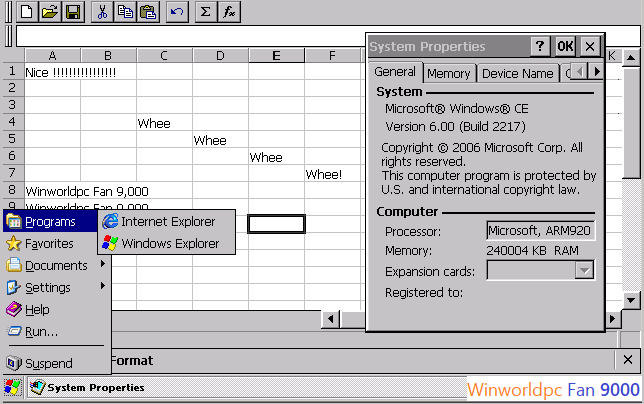 The software you see here is SpreadCE which is a 1999 spreadsheet application by Design Ltd.
How can I find it? Really good your comment, it's good. I'll get this emulator for the Microsoft website. Great choice! Huh? Microsoft doesn't seem to have it anymore! Microsoft Windows 2000 Professional with Service Pack 4 or higher. You might need Winrar to exact the files. To put software on the emulator, you need to go to configuration and use share folder. Locate your files and folders for it. Then, on Windows CE click the "SD CARD" in the windows explorer and there you have it! 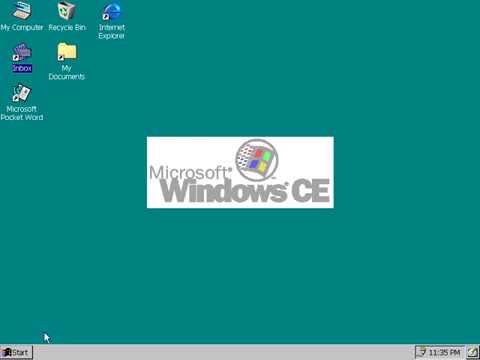 All of the software that you download for Windows CE should be there! You can also put icons on the Desktop too, just remember to save statement! Thank you so much. Whats your name? I'm still find this content for you, ok? If I searched this content, I can ask you (really I'm very busy and I couldn't reply all, but don't worry!) for Windows CE 3.0 CD-ROM or Floppy file, ok?